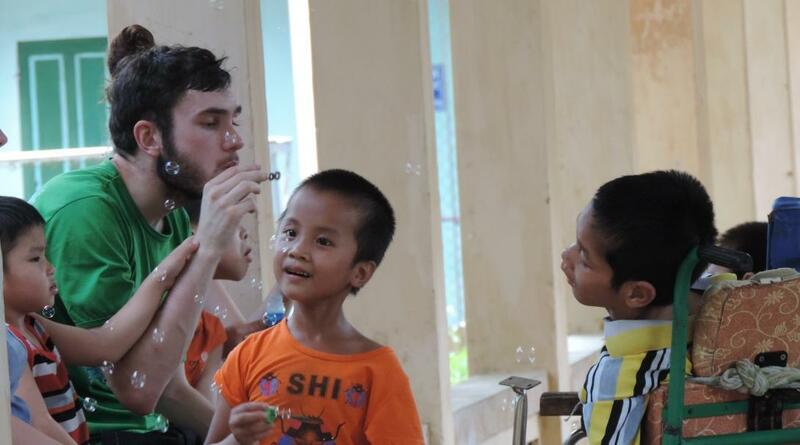 Join our Speech Therapy internship in Vietnam and provide support to children with speech and language impairments. You’ll gain practical experience by assisting with or running therapy sessions at rehabilitation centres for people with disabilities. Many of these people are unable to access the specialised care that they need, due to limited facilities or lack of funding. As an extra pair of hands, you will work alongside local staff to ensure patients receive the treatment that they need. You can work in the capital Hanoi, or in a rural rehabilitation centre a short distance away. 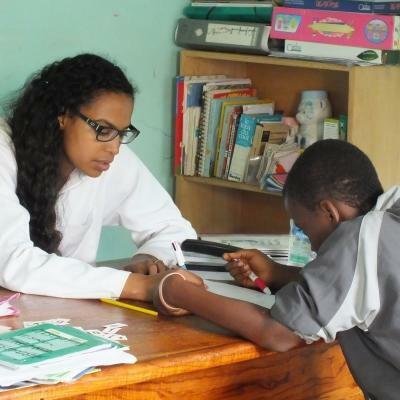 During this internship, you will learn about speech therapy practice in a country different than your own. 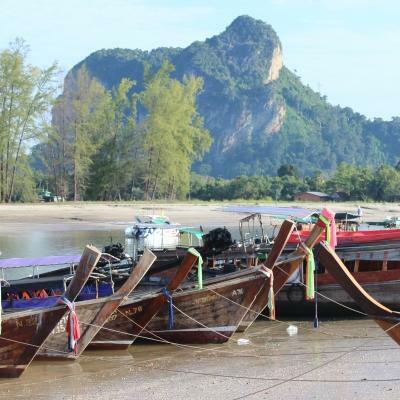 You will also experience the local way of life, and immerse yourself in the local culture. 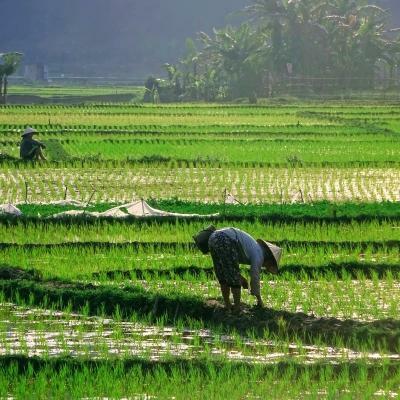 Vietnam is a popular tourist destination, and has many wonderful experiences to offer! You should have completed at least two years of speech therapy related studies or training. Is a Speech Therapy internship in Vietnam right for me? Are you a speech therapy student or graduate? 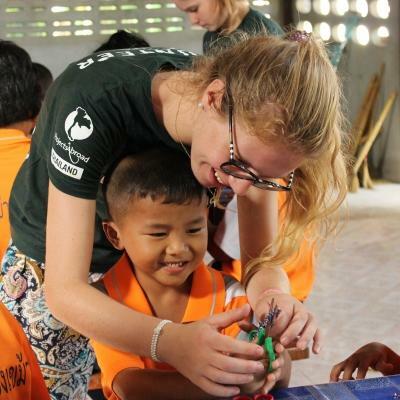 Looking to gain practical experience in a country different from your own? Want to enhance your CV with a unique, altruistic work placement? If you answered yes, then this internship is ideal for you. 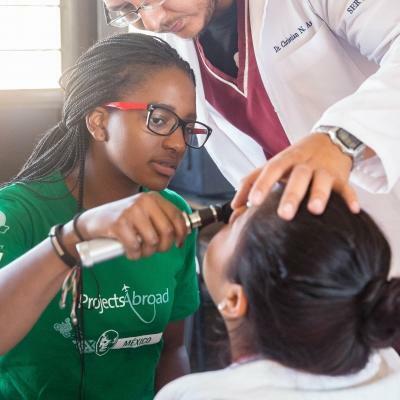 You will have the chance to help people while putting your knowledge into practice and preparing for your future career in the field. You’ll gain insight into speech therapy practices in Vietnam and learn about different methods and techniques. 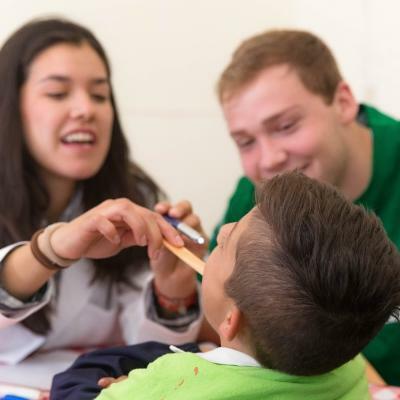 In order to join this internship, you need to have completed at least two years of speech therapy studies or training. This is because you will work independently at your placement. You can join from a minimum of two weeks, although we encourage you to stay longer in order to make a greater impact. Our start and end dates are flexible, so you can choose a time that suits you. 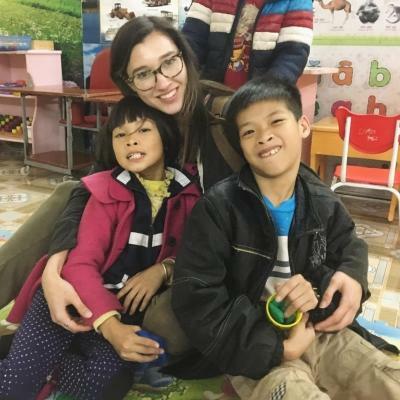 What speech therapy work will I do in Vietnam? You will work alongside local speech therapists to conduct therapy sessions for children with speech impairments. There may also be the chance to conduct these sessions independently. This is a great way for you to gain hands-on experience. Some of the issues you will work on include cluttering, apraxia of speech, dysarthria, and articulation disorder. Some of the local speech therapy staff have not received extensive training in their field. You will help to provide training to these staff by organising workshops or simply sharing your knowledge. By improving the skills of the local staff, you’ll ensure that the children in their care benefit from the latest techniques, even after you have gone. Monitoring the progress of the people we help ensures that we can track improvements and target problem areas. You will update our Global Impact Database with the children’s latest developments. This also ensures continuity between interns, so that the next person can pick up where you leave off. Quite apart from your speech therapy-related work, there is also plenty that goes into the daily running of a rehabilitation centre. You may find yourself providing extra stimulation and interaction for the children. This may entail teaching them basic skills, such as maths or colouring in. You can also take the children out for daily walks, play games, and assist in the classroom. 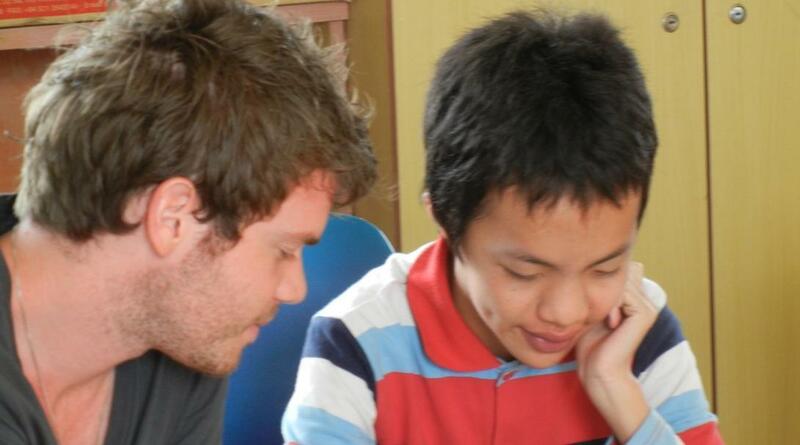 There are two Speech Therapy placement options in Vietnam. The first is based at a partner NGO based in the centre of Hanoi, the capital. This centre cares for children between the ages of 0-18 with a range of disabilities. It currently has ten rooms with two therapists each for speech therapy. The second placement option is at a rehabilitation centre for people with disabilities, which treats both children and adults. This centre is located in a rural area, around 60 km from the capital. The facilities here are quite basic compared to those in Hanoi. During your leisure time, there is so much to discover in Vietnam. It’s a country rich in history, culture, and geographical wonders. Sample some of the delicious cuisine, visit ancient temples, and take in the incredible scenery. After breakfast, it’s time to head to work. If you’re based in Hanoi, you’ll travel from your host family to your placement via taxi or motorbike taxi. On your first day, our staff will be there to show you how to get there. For those who have chosen to work at a rural rehabilitation centre, you will be living on site. A typical working day runs from 8am - 4pm, Monday to Friday, with around two hours for lunch. Specific tasks will vary according to which placement you choose. Whichever placement you choose, you will spend your day working alongside local staff, assisting with the therapy sessions for children with speech impairments. There is room to be very proactive and independent on this internship, so use your initiative where you see fit. There is also room to help with related tasks. These include updating our Global Impact Database with each child’s progress, teaching basic skills, helping with daily running of the centre, and training staff. After the working day has come to a close, it’s time to enjoy all that Vietnam has to offer. Those based in the rural rehabilitation centre will be able to travel to Hanoi on the weekends. Spend time getting to know your fellow interns and making new friends from around the world. What are the aims and impact of this Speech Therapy project? There are two main aims to this project: to provide you with an educational, practical internship and to improve the quality of specialised care available to disabled people. Many of the interns who join us are looking for practical work experience in an international environment. We ensure that you are able to learn from local professionals and take part in a variety of related tasks for a well-rounded time abroad. You’ll take part in valuable cross-cultural exchange, sharing knowledge and ideas. Vietnam has a large number of disabled people due to war and disease. Many of these people do not have access to the specialised treatment that they need, due to limited facilities and lack of funding. We have partnered with two organisations in the country that work to address these needs. You will work with patients to improve their speech, which in turn aids their sense of wellbeing and independence. You’ll act as an additional pair of hands in under-resourced institutions, ensuring that patients receive dedicated and specialised care. 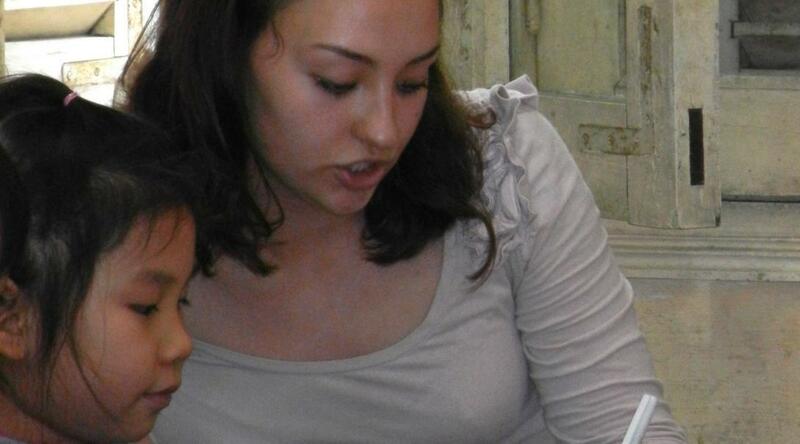 Join us as an intern and gain speech therapy work experience in Vietnam. This will allow you to prepare for your future career, while helping those who can benefit from your training. Once I built some trust with the speech therapy staff, I was able to give recommendations for the children and experiment with new therapy techniques. I was even asked to make an alternate AAC communication book for the children.